TopForm, the premier bankruptcy filing software, is on the forefront of accuracy and ease of use. 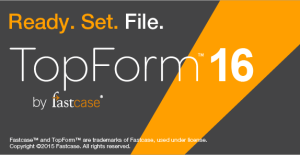 For TopForm 16, Fastcase has updated over 1,281 local and federal exemptions. Each exemption has been extensively tested to confirm that it applies properly across all forms and debtor types. 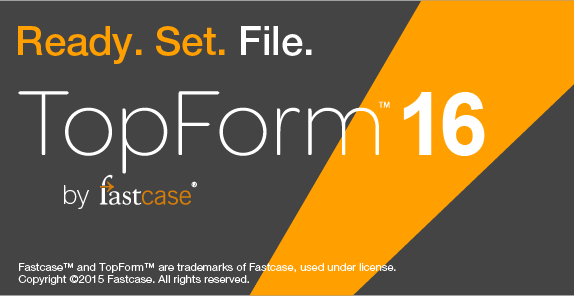 Fastcase has also updated 216 local forms, including California and Michigan local forms. No more downloading your local forms separately to append to the filing. This new update prepares users for the busy December filing season. Instructions for downloading and installing the update are available HERE. Don’t want to go through the update process? Get started on TopForm web today, and you’ll never have to download another update. TopForm web is included in your subscription and updates automatically in the background. Create and access your data anywhere you have an internet connection. It’s secure, easy-to-use interface and lightning fast. Sign up today at topform.law.